Update: The road has been reopen and there is a 50kph speed limit for northbound traffic. 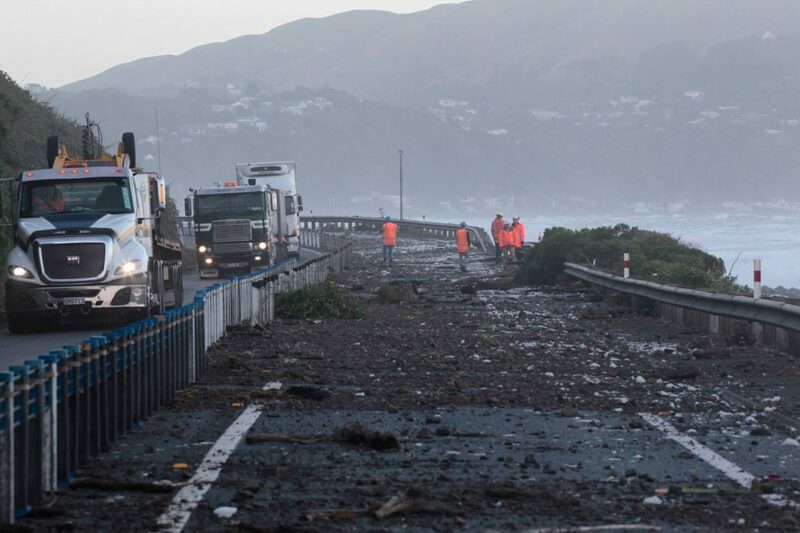 The New Zealand Transport Agency has announced that state highway 1 between Paekakariki and Pukerua Bay will be reopened to traffic in both directions from 5 am tomorrow morning. Photo taken of damage to the sea wall from Gita. Photo taken this morning. Senior Journeys Manager Neil Walker says that the repair work will be completed to a point which will allow both lanes to open in time for the morning but more work will eventually be required to complete repairs to the cycleway and footpath. 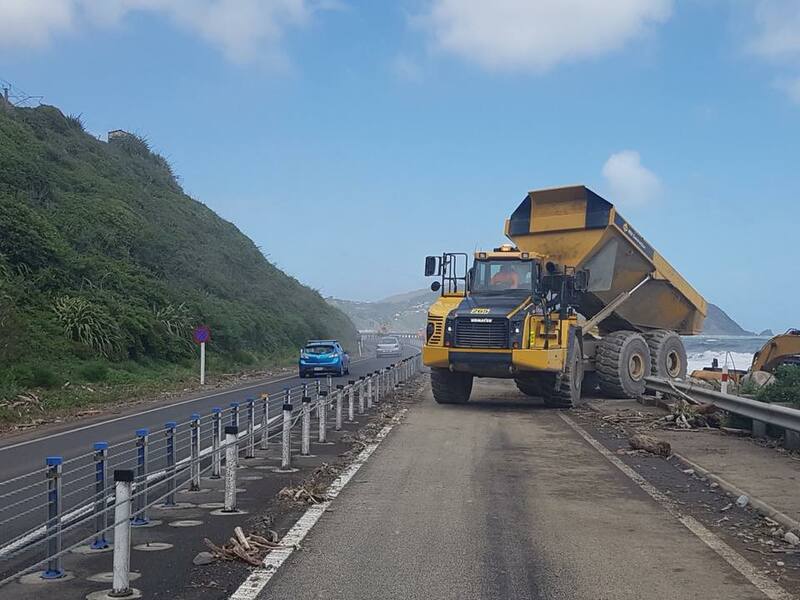 “Contractors will work through the night to fully reinstate the sea protection and secure the integrity of road,” Mr. Walker says. The Kapiti Community would like to extend their thanks to all of the power, rescue & road workers over the last 24 hours, dealing with the aftermath of the storm. For live information regarding the weather follow What’s on Kapiti on Facebook.